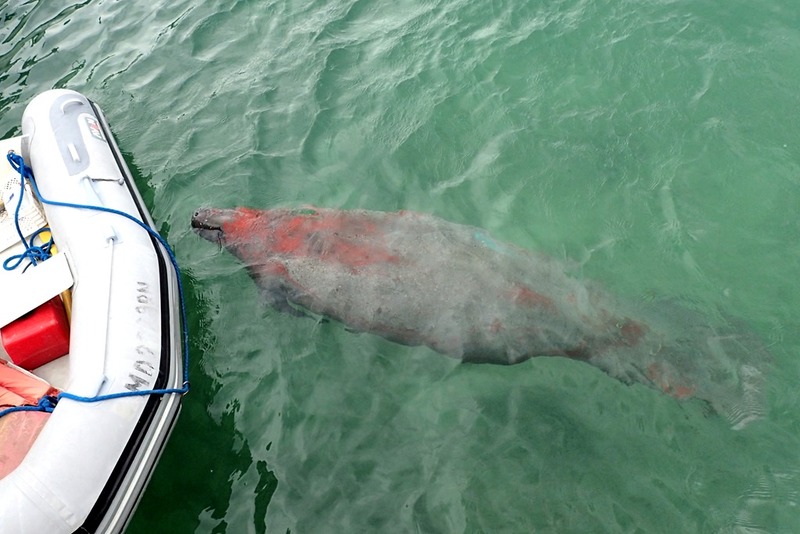 Randy the Manatee likes to visit the Lighthouse Marina, across the harbor from Hope Town. This time, we found him covered in red. It’s paint, bottom paint from the bottom of some boat. Randy likes to munch off the green stuff that grows on the bottoms of our boats as they sit here in the harbor. Including our dinghy. 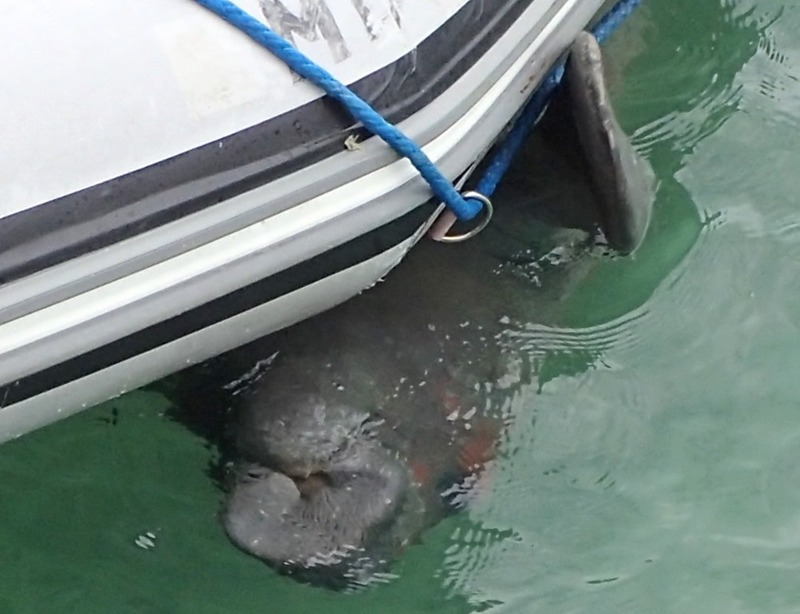 He spotted it tied to the dock and started making his way towards it. He’s especially happy to get up close and personal. 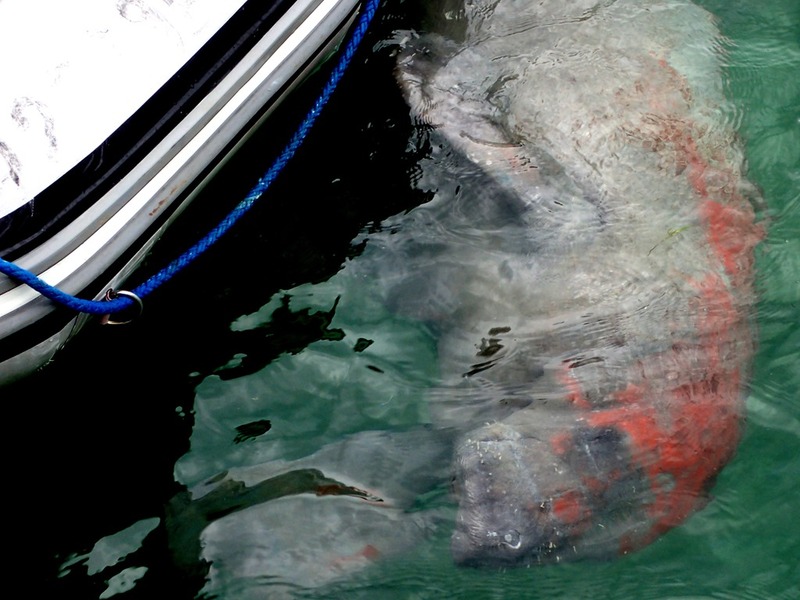 Hugging its familiar gray, soft, rubbery sides with his flippers. That’s his mouth. Pucker up??? 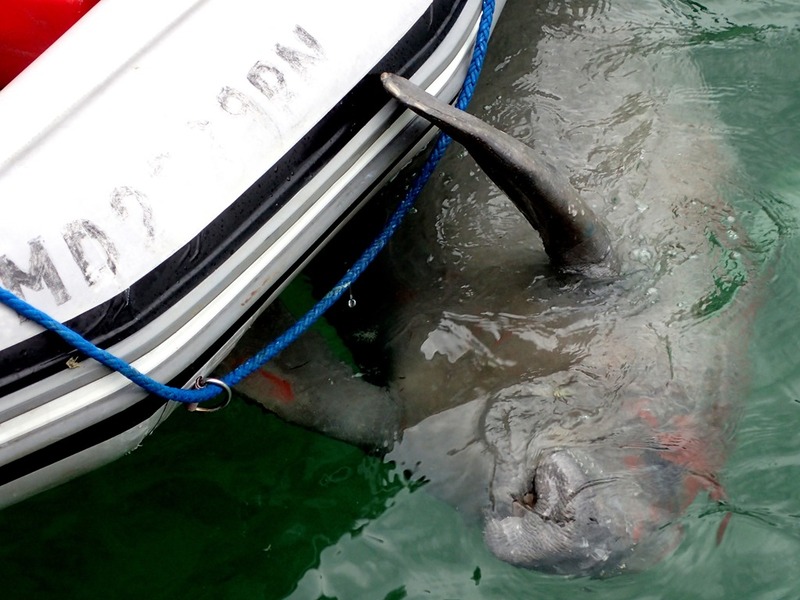 Nothing like a friendly hug from a manatee. Awesome pictures! 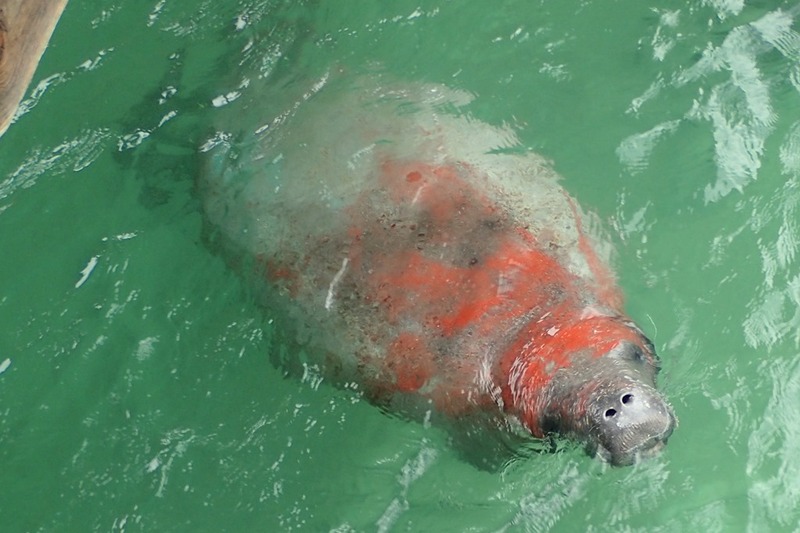 Lucky you to get such close-ups of a manatee. Wonder how long the red stays on him?! That’s an excellent question. But he have not seem him lately. And I always thought they had a face only a mother could love! Hope to see you soon.